The Good Earth is Buck's classic story of Wang Lung, a Chinese peasant farmer, and his wife, O-lan, a former slave. With luck and hard work, the couple's fortunes improve over the years: They are blessed with sons, and save steadily until one day they can afford to buy property in the House of Wang -- the very house in which O-lan used to work. But success brings with it a new set of problems. Wang soon finds himself the target of jealousy, and as good harvests come and go, so does the social order. Will Wang's family cherish the estate after he's gone? And can his material success, the bedrock of his life, guarantee anything about his soul? 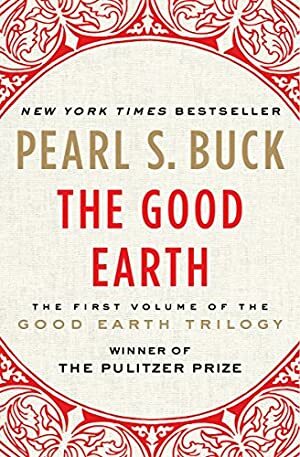 Winner of the Pulitzer Prize and the William Dean Howells Award, The Good Earth was an Oprah's Book Club choice in 2004. A readers' favorite for generations, this powerful and beautifully written fable resonates with universal themes of hope and family unity. Log In to track Pearl S. Buck on eReaderIQ. to be notified each time the price drops on any book by Pearl S. Buck. to stop tracking Pearl S. Buck. We started tracking this book on July 1, 2012. The price of this book has changed 277 times in the past 2,489 days. The current price of this book is $10.20 last checked one day ago. The lowest price to date was $0.99 last reached on May 31, 2017. The highest price to date was $11.99 last reached on August 28, 2012. We last verified the price of this book about one day ago. At that time, the price was $10.20. This price is subject to change. The price displayed on the Amazon.com website at the time of purchase is the price you will pay for this book. Please confirm the price before making any purchases.